Platelet Rich Plasma (PRP) Therapy uses injections of a patient's own blood to promote natural healing responses at the site of tissue damage and injury. As a leading pain management practice in the North Phoenix and West Valley areas, Valley Pain Centers uses state-of-the-art PRP techniques to help reduce pain and promote faster and more complete healing. PRP stands for platelet-rich plasma. Both platelets and plasma are contained in whole blood. Plasma refers to the liquid portion of blood, and platelets play an important role in healing and clotting. Platelets also contain special proteins called growth factors, which are directly involved in the body's healing processes. PRP uses a sample of the patient's own blood, and then processes it to concentrate the platelets to five times their normal levels or more. The concentrated PRP is then reinjected into the patient at the site of injury to stimulate healing. Because PRP uses the patient's own blood, the risk of allergic reactions is eliminated. PRP is administered using a needle to inject it directly into the injured area. What kinds of issues can be treated with PRP therapy? Sometimes, PRP is used during surgery once the procedure is complete and before the incision is sutured to help “jumpstart” the healing process so patients can enjoy a more rapid recovery. The growth factors contained in platelets send out special signals to tissues and cells in the immediate area of injury, triggering cell regeneration and renewal processes that can promote the growth of new tissues to replace those damaged by disease or injury. In addition to these hyperlocal responses, PRP injections also stimulate regional healing responses so patients can enjoy a faster recovery and more consistent healing overall. Is PRP therapy right for me? Because it uses the patient's own blood, PRP can be an ideal solution for many patients because it helps promote faster healing and the risk of infection is minimal. Prior to treatment, patients will be carefully evaluated to ensure PRP therapy will be beneficial for the issue they're dealing with. We accept a wide variety of different insurances to make sure you're covered, no matter what. Please call our office if you do not see your insurance provider listed or have any other questions regarding insurance. We also accept: PI Liens and Worker's Comp. "I'm very happy with the results I've had since day one. The whole staff is nice, very sweet and caring and the providers really care about their patients." "Love going to this office they are good and heathful have great personal. The Drs for pain are the best.Thank you for making us feel better with no pain.Thank you guys." "To all the staff at Valley pain center Bell location, my prayers for each of you. All of you have my utmost respect. I recommend you and you all deserve a raise!" "AMAZING.....completely amazing. Dr. Knighton, front desk staff, medical assistant, procedure anesthetist & radiologist. Incredible. HIGHLY RECOMMEND! " "Kudos to Dr Lynn who with his 30 years of experience was able to immediately diagnose & eliminate a chronic neck problem due to a previous injury." 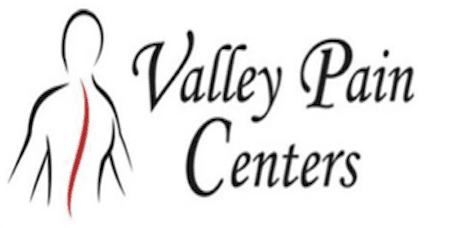 "This Valley Pain Center is wonderful. People that work there are so friendly and the doctors are very professional and handsome." "The receptionist is my favorite!! Theyve treated my husband very well! " "I've had my pain for over 10 years and I feel encouraged that there may be a better future for me. I highly recommend their office." "The care I received was top notch and state of the art. They work with insurance companies so you don't have to. No out of pocket costs for the treatment I received." "My doctor listened and cared about helping me and addressing all my concerns. Not all doctors do. " "I was really impressed with Dr. Knighton's demeanor. He seems very thoughtful and patient. This practice is about intervention and regeneration."